Hello and welcome to Tissu & Co! 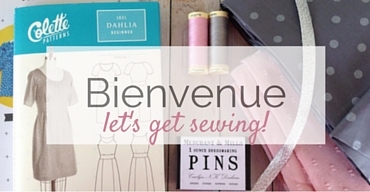 We are an online fabric and haberdashery shop based in Western Switzerland. We carry stylish, beautiful fabrics from top brands, modern sewing patterns, top quality sewing notions and even kits for adults and children to learn how to sew! Behind the screen, it’s me, Ana. I have a passion for sewing and I’m in the constant lookout for new brands and products to offer you, so come and visit our shop frequently. You can also subscribe to our mailing list (no spam, promise!) or follow us through social media to see what’s new! Thank you for your visit and happy sewing!